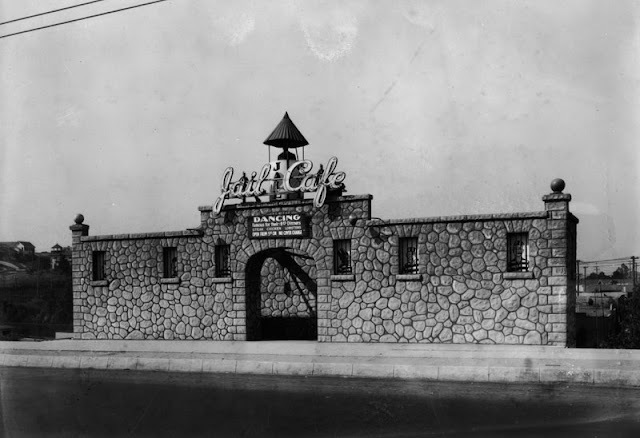 Here's a story I did for EaterLA timed to the recent re-opening of Clifton's about some of Los Angeles' craziest early theme restaurants, from pirates to jails to questionable African fried chicken huts. Read the full story at LA.Eater.com. Even before the woodsy Brookdale Cafeteria opened in 1932, theme restaurants were an essential piece of Los Angeles's dining culture. The city is famous for dining establishments shaped like tamales, hotdogs, airplanes, and doughnuts. 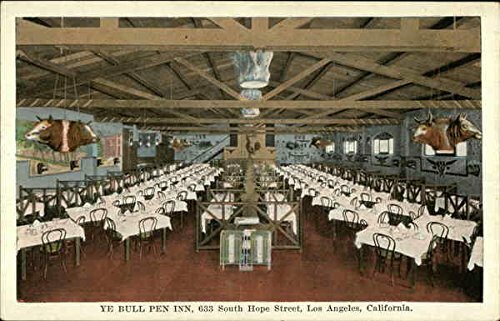 Some theme restaurants enriched the experience with garishly costumed waiters and entertainment, though they seldom attempted to link the fare with their outlandish facades.